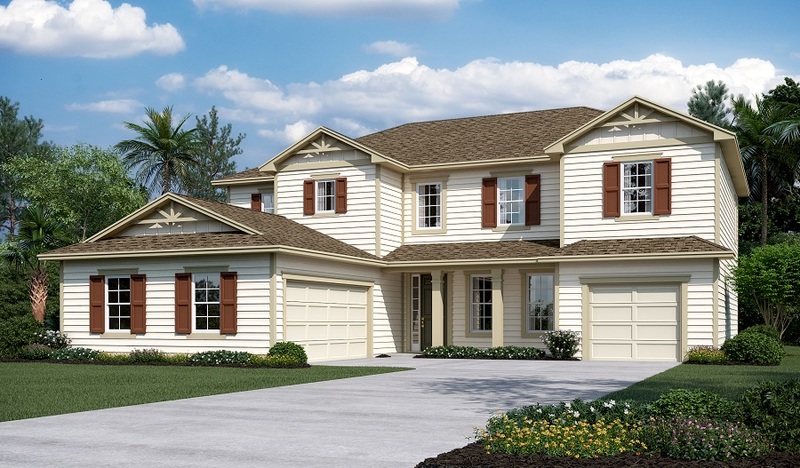 The entry of this new model home is flanked by formal living and dining rooms. The gourmet kitchen features a double oven, central island, stainless-steel appliances, quartz countertops and a convenient butler's pantry leading to the dining room. Other main-floor highlights include a main-floor bedroom and full bath and a spacious great room with modern multi-slide doors opening up to the extended covered patio. Upstairs, you'll find a versatile loft, three secondary bedrooms with a shared bath and a luxurious master suite with a tray ceiling, dual walk-in closets and an attached bath.